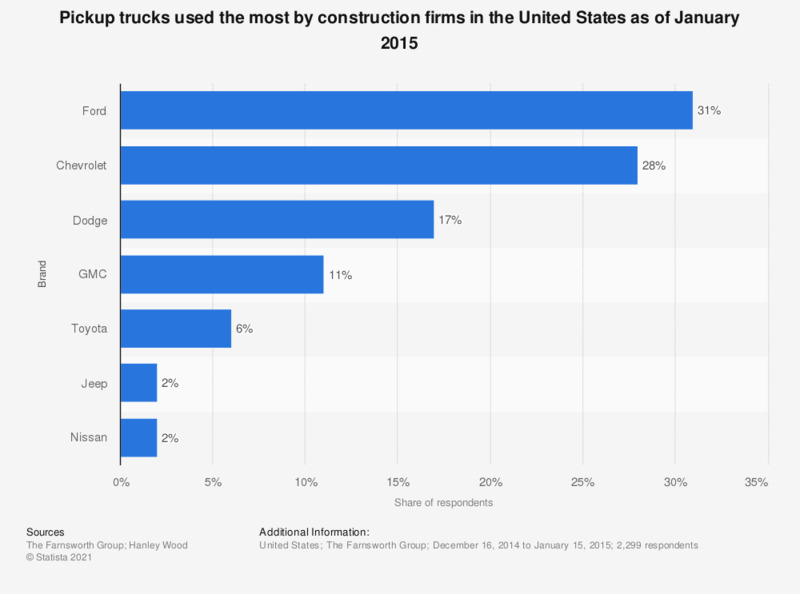 This graph depicts the results of a survey conducted between December 16, 2014 and January 15, 2015 on which pickup trucks U.S. construction firms used the most. The survey revealed that 31 percent of respondents used Ford brand pickup trucks the most. The original question read as follows: "Which brand(s) does your firm use the most?"